I went for a weekend in the countryside of Tuscany, around Cetona and Amiata mountains, where wolves roam free again. Well, we had no signs of wolves even though we saw plenty of roe deers. Instead of enjoying wildlife though, we basically ate. We experienced only a fraction of Tuscany but I got to appreciate its typical cuisine even more than I expected. It is simple, light and flavourful. This is still a region where ingredients are more often than not self-produced and genuine. For the vegans out there, it’s hard to find “veganized” food but many dishes are traditionally vegan instead. Our first dinner was in the ancient village of Sarteano, at the trattoria (home-like restaurant, no fanciness) Il Saracino. It means Saracen as the tradition of the town is linked to its past of battles against Arabs. This history revives every year in a historical representation. The old city is truly beautiful, but let’s go back to what we ate. The restaurant was kind of cheap, more or less 15€ per person. Here I discovered a Tuscanian kind of pasta that I immediately started to love: pici. They are a rougher and thicker version of spaghetti, simply made out of just flour and water and deliciously chunky. They can be accompanied by a variety of sauces but the most typical one is aglione: to put it simply, a tomato sauce with a lot of garlic (aglio in Italian, what the sauce takes its name from) and sometimes extra chilly pepper. The restaurant offers a great deal of veggies as well, and I took a delicious mixed plate made of green beans with tomato sauce, spinach and lemon, sautéed artichokes and cipolline in agrodolce – small onions marinated in a sweet and sour gravy. The quality was way above my expectations with respect to the price but not supreme. Here is where I ate the best pici! 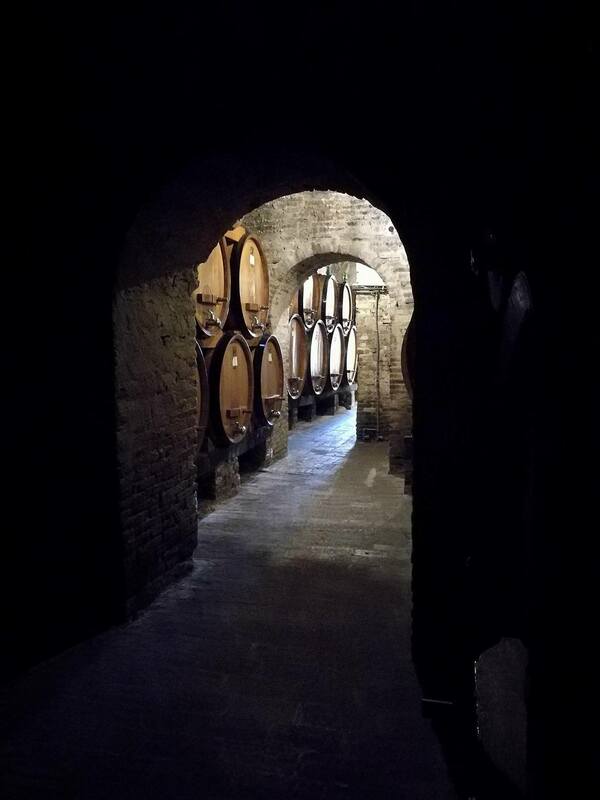 The day after, we went on a wine trip to the medieval town of Montepulciano. We stopped in the old city centre for a late lunch at , famous for its traditional cuisine and its panoramic terrace. The price was slightly higher but still affordable, especially regarding the quality of food and the location. Here I got the best culinary experience of the trip: bean cream with spelt and rosemary. The portion was hearty and the flavour delicate but rich – I ate it all before I realized I should have taken a picture. Highly recommended. There were other many vegan options, such as caponata or the beans my mom took as a starter or pici. As a dessert, I started looking for an ice cream and I found a gelateria right after the main entrance of the old town, on the main road. 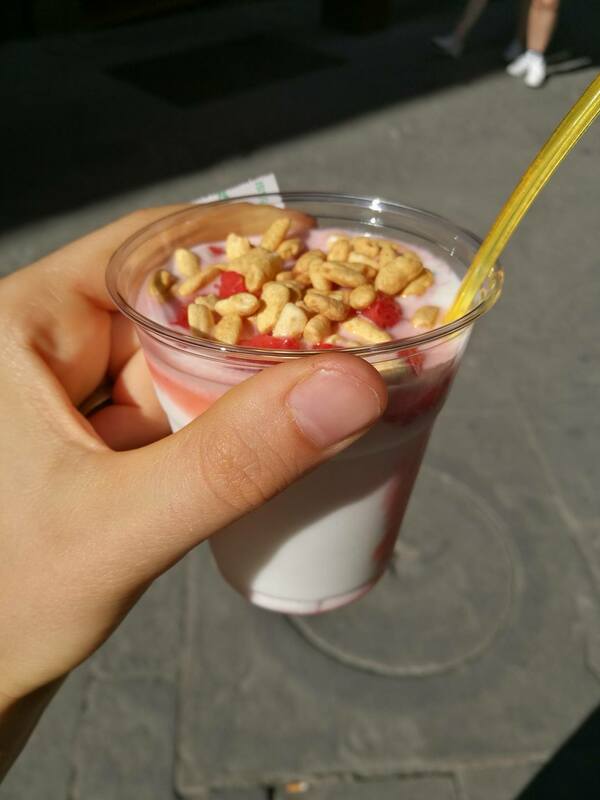 It is called Dolcivoglie and, besides gelato, it offers granite, smoothies, crepes, waffles… and the vegan rice mousse that I went for. It costs 2€ if plain, 2.50€ if garnished with different sweet sauces or toppings. I went for strawberries and caramelized rice. We had dinner in another old town – Radicofani. We went in a shabby-looking hotel restaurant, , that was surprising in the quality and care put into cooking. Almost everything is hand-made daily and self-produced, similarly to the first restaurant we went to, Il Saracino. We spent a little bit more, 25€ per person, but the wine was awesome and we got to try three different first courses and two second courses (Italian meals have two main courses) + dessert. Gnocchi al tartufo (gnocchi with truffle, of course vegan) were awesome, while pici weren’t as good as the ones we ate in Il Saracino. I also got a portion of marinated aubergines, super-flavourful. Uh, and the potatoes were some of the best of my life. Unbelievably soft inside and crusty/crunchy on the outside, exactly right. That’s it, needless to say that, beside eating, we appreciated the beauty of the land and of its ancient villages. The only drawback of this trip was its highly touristic nature but I gave it up for once. 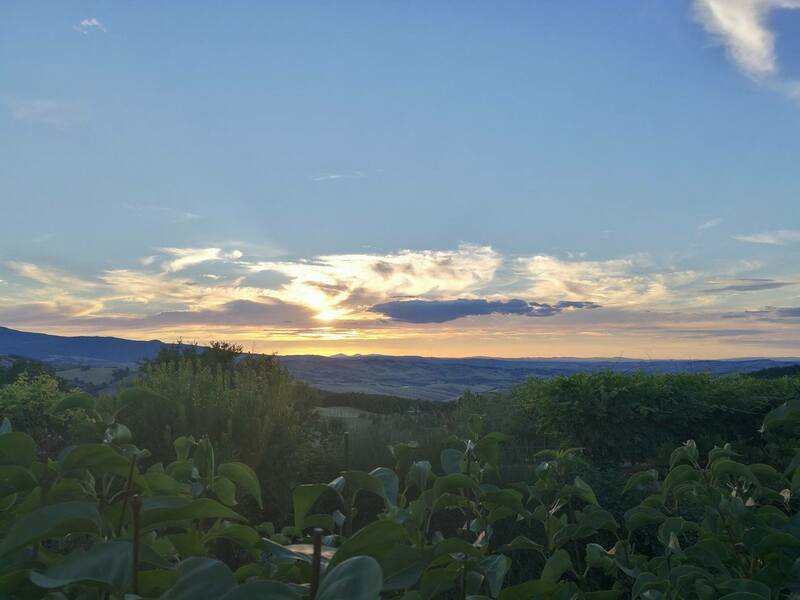 Nature in Tuscany is mild, tamed and cared for but it still conserved spots of true wilderness. Thank you Nadia! 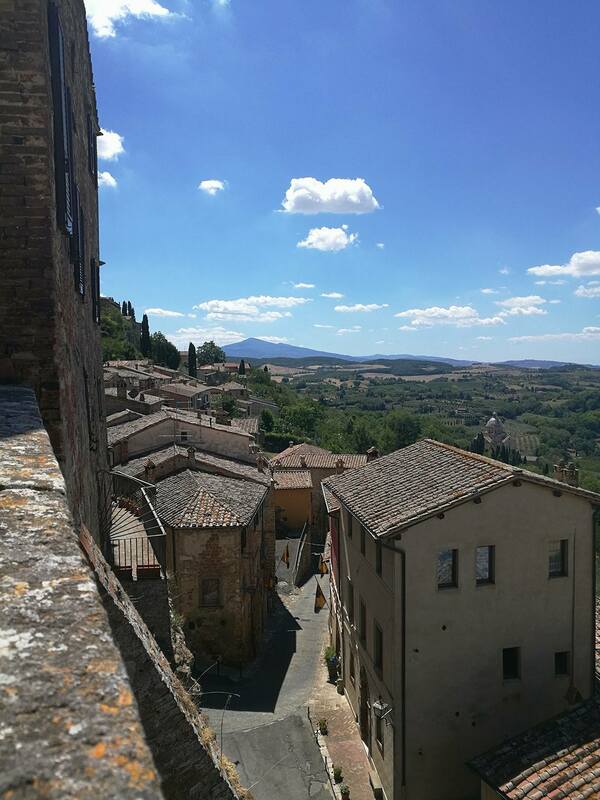 Hope you’ll get to enjoy Tuscany as well, feel free to reach out!